For the first time, InBeCon presented examples of simulation results of various micro-packaging problems obtained with the finite element method in a workshop for FEM-Simulations. InBeCon GmbH is a certified consulting partner of Comsol and offers simulation service especially for applications in micro-system technology and optoelectronics. The various properties of surfaces have a large impact on the assembly and production of optical-electronic and micro-system components as well as on the product characteristics. Therefore InBeCon GmbH is participating actively in the BMBF-funded network „Schützen und Veredeln von Oberflächen“ which is coordinated by Prof. Sigurd Schrader of the department “Photonics, Laser- and Plasmatechnologies” of the University Wildau. 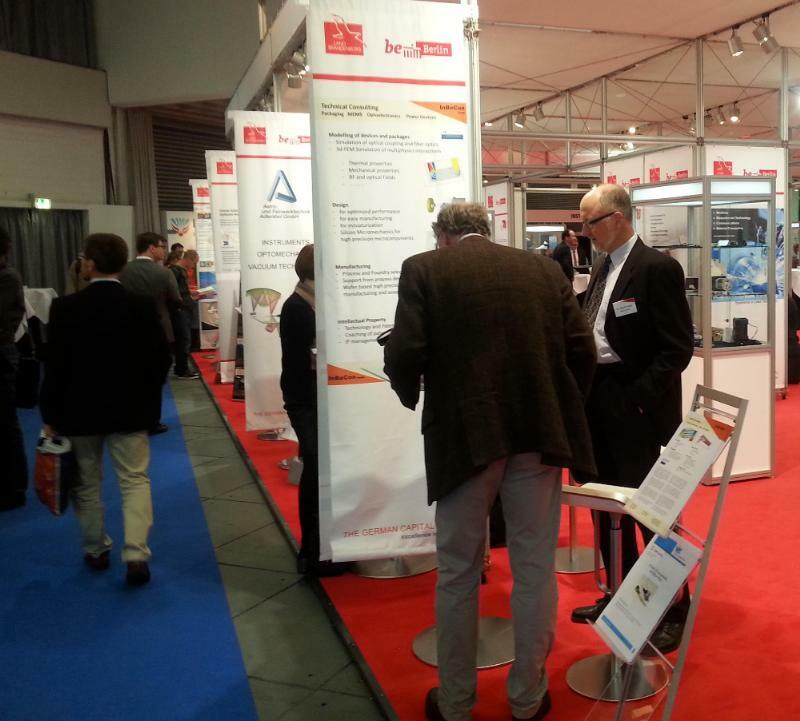 The international fair Laser Optics offers a unique platform for the presentation and discussion of joint developments and applications of optical technologies and micro-systems technology. 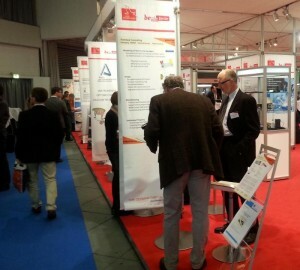 InBeCon GmbH presented examples of developments for optoelectronic packages for sensors and modules for telecommunication. 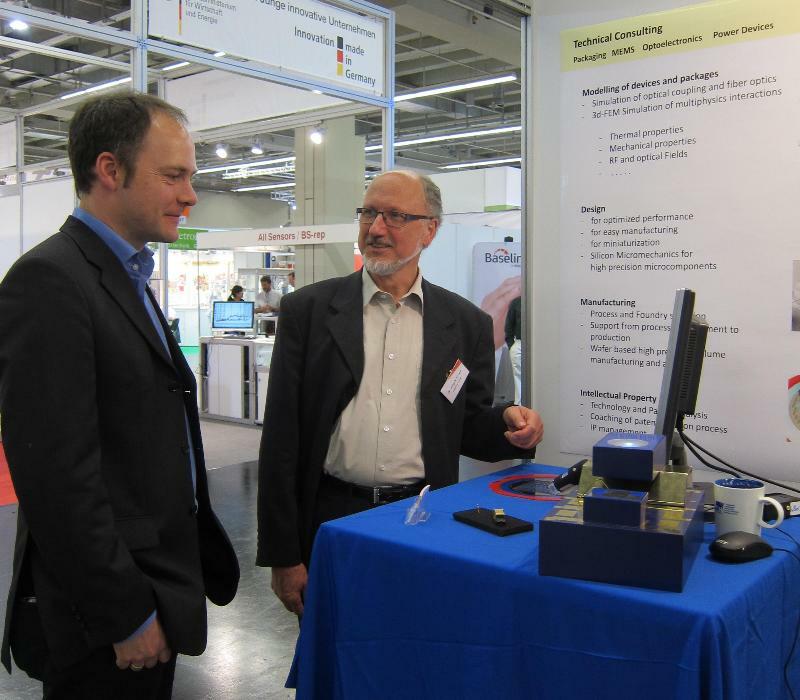 Jörg-R. Kropp, the general manager of InBeCon GmbH, was actively participated in the OptecBB, the competence network for optical technologies in Berlin and Brandenburg, since the founding of the network in the year 2000. Starting November 2012, InBeCon GmbH is an official corporate member in OptecBB. Optec-Berlin-Brandenburg (OpTecBB) is a network of companies, universities and scientific institutes that seeks to strengthen the economic power of the Berlin-Brandenburg region through joint activities using the potential of the optical technologies. About 70 companies and 30 universities and research Institutes enable an effective research, development and application through the sharing of information and results of the latest technologies among the partners. InBeCon is appointed as consultant to the cooperating industry board of the IGF-project “Development of a silicon based Micro-PEM fuel cell with nano-patterned proton conducting channels” (All Silicon Micro Fuell Cell) and will join in the prototyp development until 2014.